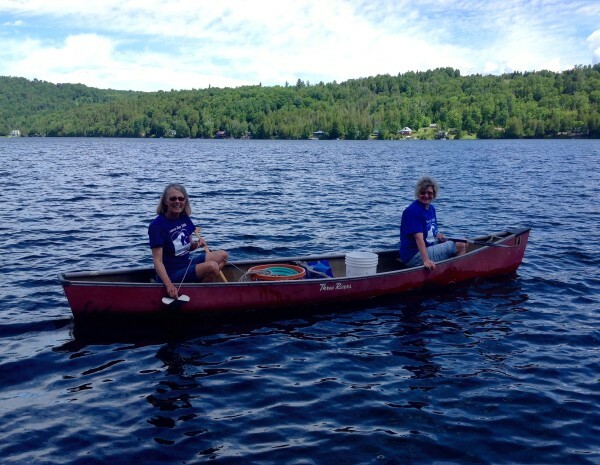 Healthy Lakes Depend On Volunteers! Sara Gluckman is our veteran Lay Monitor. Christine Cano and Jenifer Andrews are our Vermont Invasive Patrollers (VIPs). Our volunteers are providing ongoing water quality and aquatic invasive species (AIS) data for Shadow Lake. The two programs are implemented state-wide by the Vermont Agency of Natural Resources, Department of Environmental Conservation. Lay Monitoring information helps identify the changes in nutrient loading and alerts communities and lake residents to take corrective actions to prevent problems with their lake water quality. 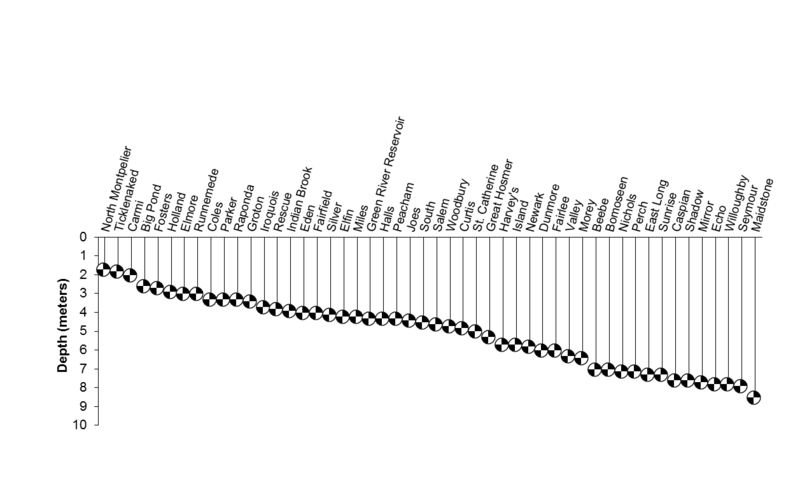 Shadow Lake ﬁrst collected and submitted data in 1979 when the Lay Monitor program began. Sara has been our Lay Monitor since 1986 and in 2016 she completed her 20th season of participating in the program! Sara monitors lake clarity, chlorophyll levels, total phosphorus concentration and Secchi disk transparency. The water samples are collected and ﬁltered, then sent to the State for processing and the data becomes record. Sara gives a report on how Shadow is fairing at our Association’s annual business meeting. The Secchi readings are widely used as a basic water quality indicator, and can often be related to the nutrient enrichment of a lake or its trophic state. The Secchi disk reading is a measure of the clarity of lake water. The transparency of a lake’s water is directly related to the amount of materials suspended in the water. Particulate matter, such as algae or silt, limits light penetration and reduces the water’s clarity. Secchi readings are measured using a Secchi disk, a metal disk painted with a graphic of two black and two white quadrants on the disk’s surface. The Secchi disk is mounted on a measured line and lowered slowly into the water and the lowest depth at which it is still visible is the Secchi transparency reading, this measurement is known as the Secchi depth. Measurements are read in meters (1 meter = 3.28 feet). The higher the Secchi depth, the better the transparency of the water. This graph below shows the Secchi water clarity ‘long-term means’ for the inland lakes based on data recorded in Vermont over the last 30 years. 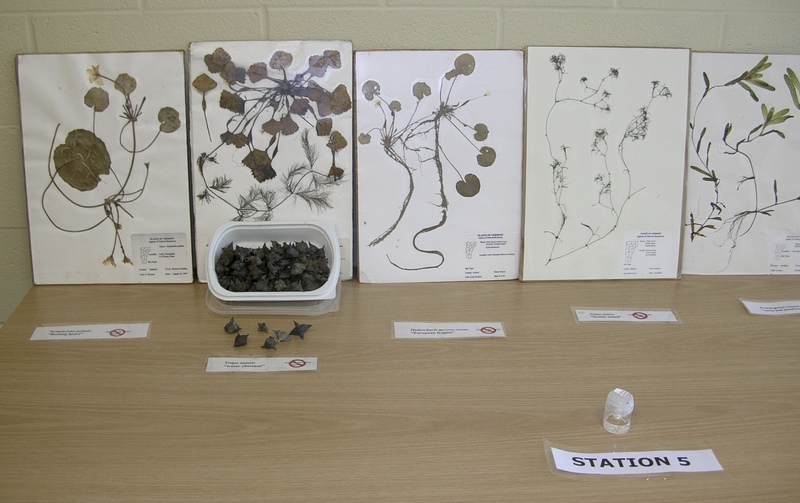 Annual summer means are calculated from at least eight samples. Long-Term Means are based on averaging all the annual summer means. VTDEC Lay Monitor program graph of inland lakes ranked in order of increasing Secchi disk transparency based on data recorded in Vermont over the past 30 years with the lakes on the right side of the graph having the greatest clarity. There are 54 lakes and 12 Lake Champlain stations that are involved in the VT Lay Monitoring program. In 2014, Vermont’s lakes with a median water clarity of 4.0 meters (13 feet), ranked fourth for water clarity among all 50 states. To view The Vermont Inland Lake Score Card trends for Shadow Lake with data on Shadow Lake’s overall health trend click here. For more information on Lay Monitoring see: Vermont Watershed Management Lakes and Ponds and yearly results of this testing are provided in Annual Reports on the Lay Monitoring Program webpage. 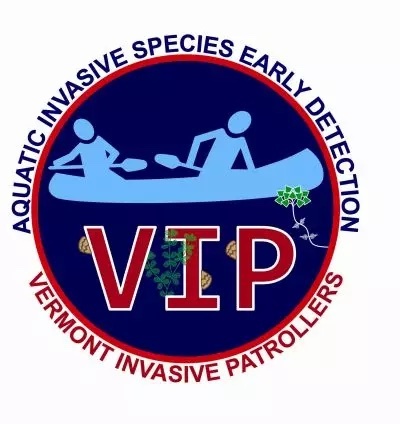 The Vermont Invasive Patrollers (VIP) is a network of citizen volunteers who opt to become ‘VIPs’, by participating in state run workshops to learn how to identify and survey for aquatic invasive species that pose the greatest threat to our Vermont lakes and agree to monitor a water body they frequent or care about for the early detection of aquatic invasive species. Volunteers physically inspect the shoreline at least once in the summer by snorkeling, wading, or utilizing small watercraft. The survey data is collected and submitted annually to the state’s Lakes Program. Already working since 2011 to monitor Shadow for Eurasian watermilfoil, Christine Cano, has snorkeled the entire Shadow Lake shoreline. She received VIP training in 2014 and has expanded her Milfoil surveying to also search for any new introductions of aquatic invasives species to help safe guard the lake. Early detection of invasive species infestations provides the best opportunity for successful management and control. In 2017, Jenifer Andrews, also completed ANR training to became Shadow Lake’s 2nd VIP! Several volunteers are often needed to effectively survey a lake. Early detection saves lakes and lake communities from ecological and economic disaster! In 2014, 50 VIP volunteers conducted over 215 hours collectively in their surveying efforts of 17 VT lakes. 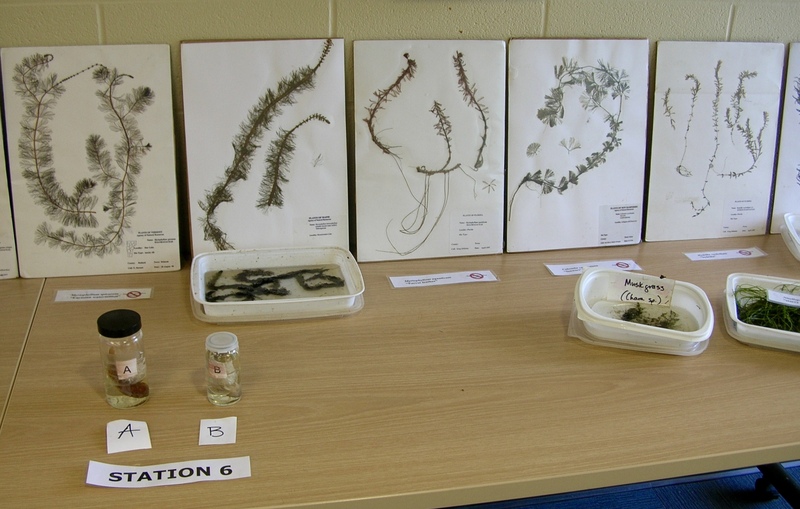 The Vermont Department of Environmental Conservation VIP training workshops are offered free of charge to participants in June and early July, complete with hands-on displays of various plant and preserved animal specimens of AIS. VIPs learn how to identify these invasive plants and animals of concern, both established in Vermont and those to watch out for already established in neighboring states and Canadian provinces. Below are photos, taken by Christine, while attending the June 2016 VIP training workshop in Newport, VT.
See: Map of Vermont showing aquatic invasive species infestations, spread prevention programs, and monitoring efforts. On July 22, 2018, Zebra mussels were confirmed in the Canadian section/ northern areas of Lake Memphremagog. VTDEC map of AIS data: Map of Vermont showing aquatic invasive species infestations, spread prevention programs, and monitoring efforts.